Have you been trying essential oils for a chronic health reason, but you are not seeing the results you were hoping to see and wondering Why Essential Oils May Not Be Working? First, let me disclose, I’m not a doctor or an herbalist, and I am a member of Young Living, so take my post for what you will to help you research more on your symptoms and potential cures. When it comes to essential oils, there are a many things you should consider, and I’ll do my best to discuss the basics of a few of them here. I’ll specifically look at some of the reasons essential oils may not be working for you. Essential oils are made from the oils from various elements from the earth: fruits, seeds, barks, flowers and more. Essential oils have been used for centuries; They’re referred to in religious texts (from Christianity to Buddhism), and they are making a comeback even among the mainstream crowd. However, sometimes results vary. Here are some reasons to consider if you aren’t seeing the results from essential oils. Are you using a quality essential oil? There are many brands out there, some organic, some through direct sales, like Young Living, some available through mass market. I’ve found that some people see perfume oils as essential oils, but they aren’t the same. Some are not at all real oils, and others aren’t from verified sources. I recommend making sure that you’re purchasing through a verified and quality source. Are you using the right amount? If you are using too much carrier oil, it may become too diluted. Are you using the right oil for your ailment? Not every oil works for every need. For the beginner, I recommend purchasing an essential oil book or seeing an herbalist who may help you. Are you combining oils together that don’t work well together? So lavender is calming, while peppermint is energizing. So if you’re using one for an ailment and another for your mood, you may not see the results you expected. These are some of the Reasons Why Essential Oils May Not Be Working for You! When it comes to finding the right balance between essential oils and other health options, it is important to research your options, discuss results with a trusted professional, and also, sometimes… trust your gut! If something doesn’t seem right, get a second opinion. If you have more questions, want to learn more about Young Living, our Seed to Seal process and how essential oils can make a difference in your life, I’d love to chat! 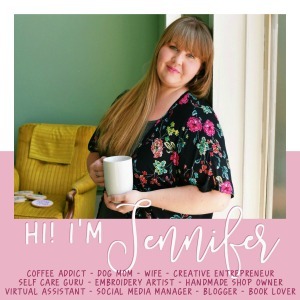 Just send me an email at busybeingjennifer [at] gmail.com! So many folks use essential oils now! These are definitely good tips to consider! I invested in an essential oil guide and have found it to be such a useful resource in my oil usage. Thank you for sharing on Family Joy Blog Link-Up Party. Hope you are having a great week! I have a grandson with ADHD. He is 16, smart as everything, but keeps failing in school. Has been on different prescription medicines for probably 6-7 years. Would love to find a combination of oils that could help with his lack of attention & restlessness. Thanks for your help.